In May of 2016, after many years of dreaming and a few years of looking, we purchased property in County Wexford, near the sunny south-east coast of Ireland. Whereas most people would prefer a nice, clean, modern house, we have taken the road less traveled. 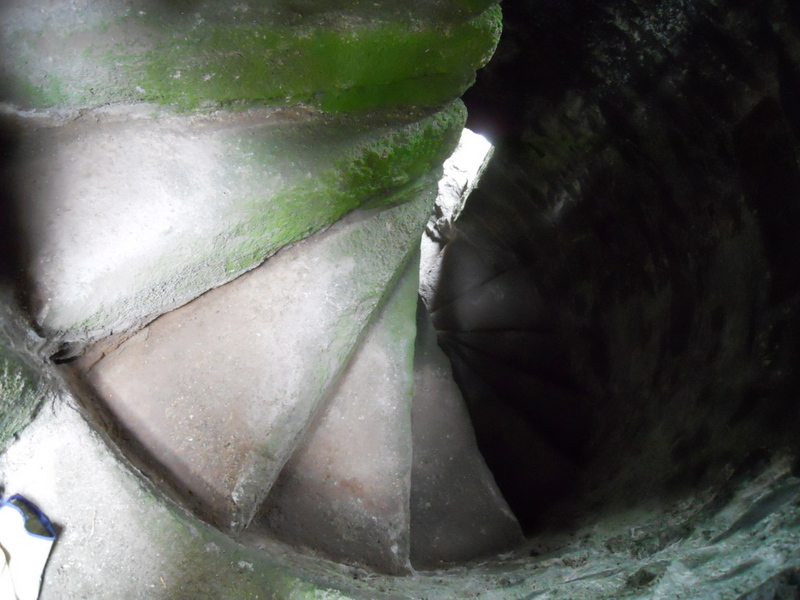 Our new place has no roof, windows, doors, electricity or plumbing, but it does have parapets, watchtower, arrow-slits, garderobes, portcullis, fireplaces, spiral staircase, vault and a machicolation! That's right - we bought a castle. If the word castle makes you think of large luxurious palaces, forget that! Instead think ruin and budget! There are large castles in Ireland, and then there are "tower houses" of various sizes. This is a smaller example of the latter - a primitive structure with an attached house that was intended for defense against whoever was unfriendly at the time. It would have housed a family, probably some animals, and a few servants. 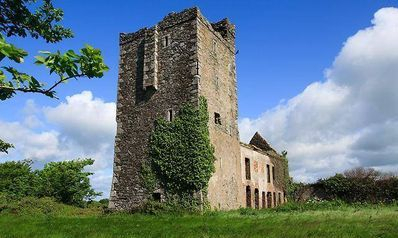 There are about two thousand tower-houses in Ireland, in all sorts of conditions - ranging from crumbled to the ground, to restored and in-between. Over time we plan to live in the property and also use it for community and historical events. As medieval re-enactors, we have long been attracted to historical buildings and would like to see this lovely property have life and energy in it once again. Since this journey will take several years, and is a once in a lifetime opportunity for us, we are interested in having others come along and share in the experience. 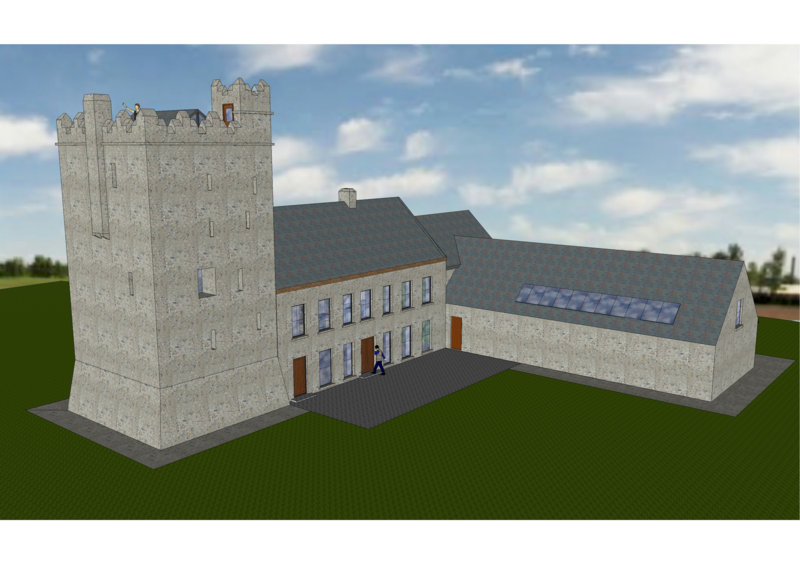 This website is intended to tell that story and illustrate how one building can be used for many different projects and collaborative learning. We're going on an adventure here: definitely outside our comfort zone and with many challenges ahead - we are looking forward to all of it!